Through investigating the history and significance of religious altarpieces, I posed the question of how to speak to the modern viewer. Very few people today know the visual vocabulary once used to educate the illiterate population of the early church. To accommodate today's society, I recreated the historical Ghent Altarpiece using moving imagery on a screen instead of static painting panels. The translation resulted in a series of videos that not only speak of the Story of Salvation but also become a reflection of myself and the role that religion has played in my life. 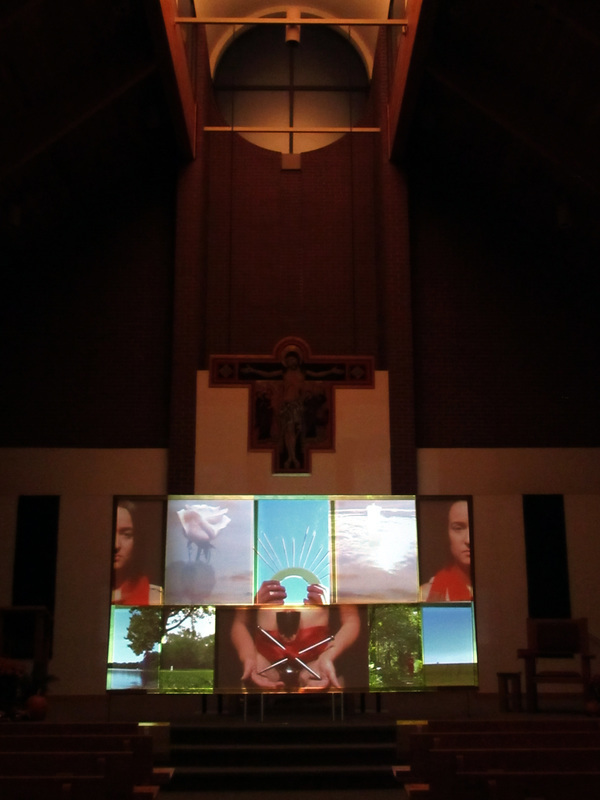 The finished piece was displayed as a large projection on a screen within the worship space at St. Stephen the Witness in Cedar Falls, Iowa.